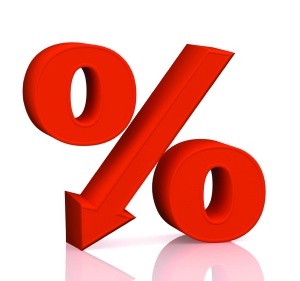 Two non-major lenders have announced cuts to fixed rates, with one cutting one of its products below 4%. Heritage Bank and ME Bank have both announced fixed rate cuts. ME Bank dropped its 3-year fixed standard home loan by 10bps to 4.59% (5.18% comparison rate). The bank said it was the lowest 3-year fixed rate price it had offered since becoming a bank in 2001. Meanwhile, Heritage Bank cut its one-year fixed rate to 3.99% (5.58% comparison rate). The bank said it was the lowest rate offered in its 139 year history. “We combed through 139 years of our own ledgers to see if we’d ever offered a lower rate, but even at the peak of the Great Depression in 1932, our rates for advances to buy property was typically around 5%PA. Our rates went close to 4%PA immediately after the Second World War, but then increased as the Reserve Bank of Australia took over the implementation of monetary policy in 1960,” Heritage Bank CEO John Minz said. ME Bank chief executive Jamie McPhee predicted rates would begin to move upward soon, and said fixed rates should be particularly attractive to borrowers at the moment. "“We’re either at or very close to the bottom of the current interest rate cycle. The next Reserve Bank rate change is likely to be an increase of 25 basis points in the first half of 2015," McPhee said.